Choppy hairstyles are great ways to change from sleek or curly styles. Choppy hairstyles provide a more modern style as well as different changes to make simple cuts into very great ones. You can get a chopped haircut with side swept bangs. The jagged ends and bangs would make you look exotic and young. All you would need is a good shampoo to keep this choppy hairstyle in shape. 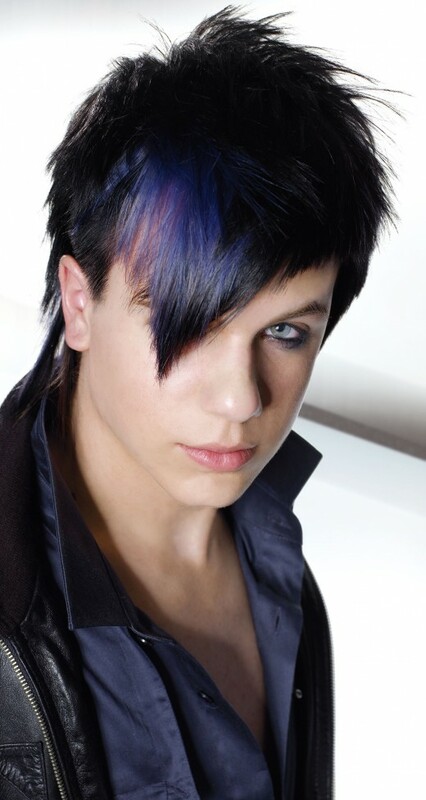 Choppy hairstyles are variations of the layered or shaggy look of the past decades. Choppy hairstyles have choppy layers of different lengths that can give hair that light, carefree look or a chunky, bold look depending on how much hair is cut or left. The modernized version of choppy hair benefits from technologies such as the flat iron and styling formulas such as pomades and hair texturizers. Choppy styles can be adapted to any face shape and length. Many women and even men now sport choppy hairstyles. It is a wise and practical choice for it not only looks cool and stylish, it is so easy to maintain too. I hope you will have liked these teenagers hairstyles collection. Feel free to share your comments with us.